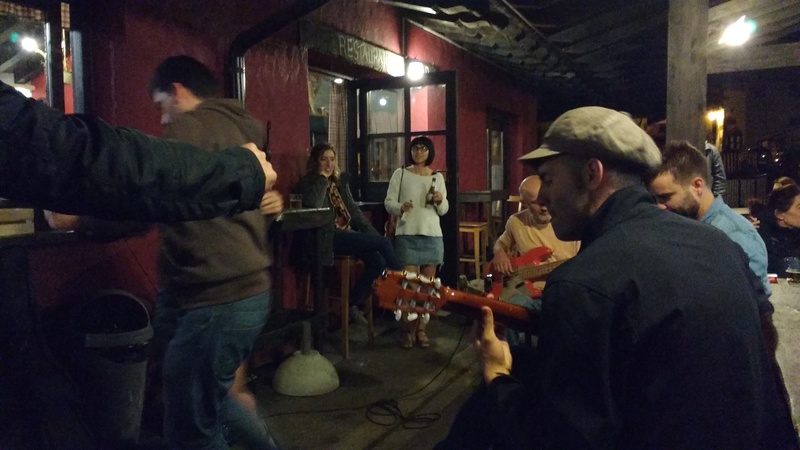 Last weekend we were in Zugarramurdi organising The Cave of Blues. 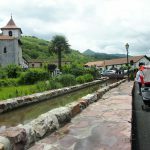 Although it’s not the first time we have organised a party or a workshop with visiting teachers… this time was completely different and that is what we were looking for; a very relaxing weekend with not too many people, where we could make a group and come together. A weekend to meet new friends or make our old ones even closer. A weekend to dance, walk and chill out without having to worry about anything. 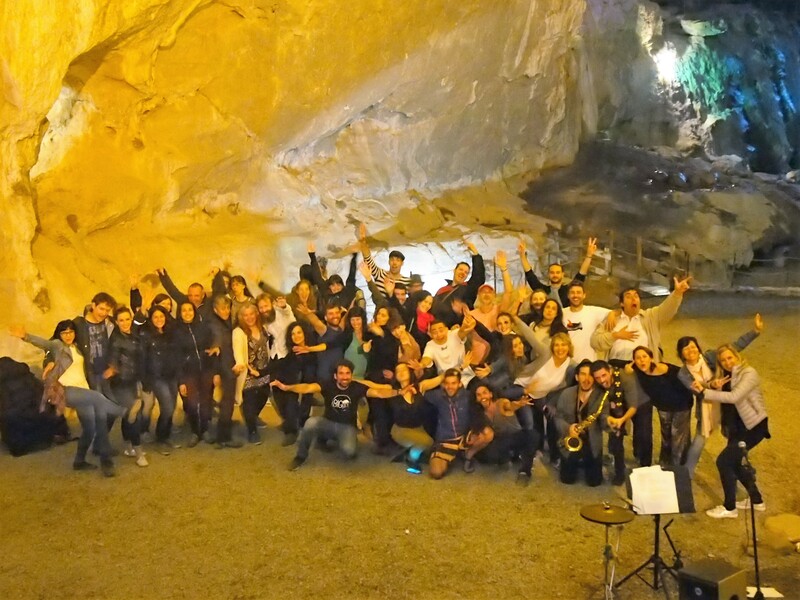 As organisers, The Cave of Blues has been an amazing experience. It’s always a huge responsibility when 45 people come from different cities expecting to enjoy a great event. It can make you feel anxious when you think what if something goes wrong? Will people get bored at some point? Will the food be ok for everybody? How about the dance floor? Rain? Too hot? People coming from Pamplona, Logroño, Vitoria, Zaragoza, Bilbao, Madrid, Barcelona, Valencia, Pau and Edinburgh… People who even took a flight to arrive in Madrid and then a train to Pamplona… that can make you feel really nervous. But finally, with the valuable help of all the people from Pamplona, we think we managed to achieve a beautiful weekend with a very special atmosphere. 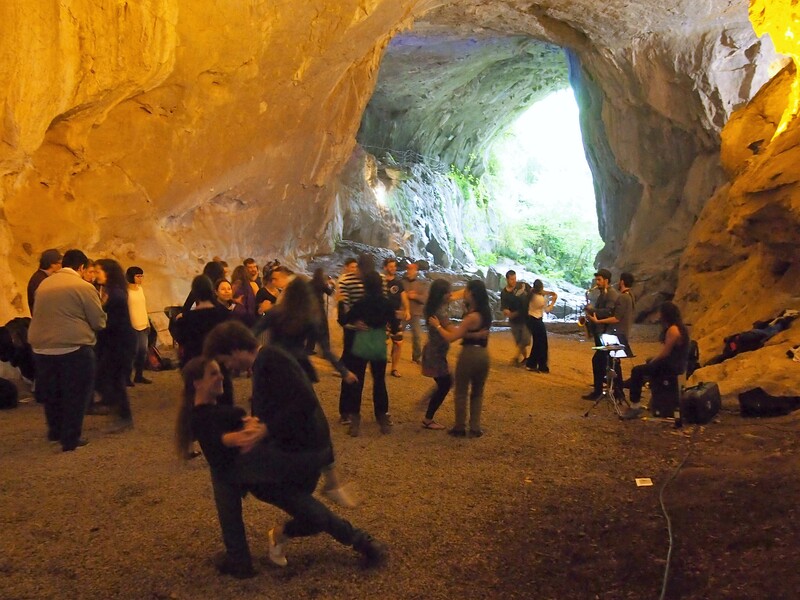 Dancing inside a place like Zugarramurdi caves with a live band was amazing. The energy we all created there whilstthe sunset, has made a beautiful memory that will last forever in our minds. We had fun in the Graxiana hostel as well, we had lots of food, the parties lasted until 7 in the morning, and everybody was dancing, and we made a “queimada” and we almost didn´t sleep, and we danced until our feet were hurting a lot, and then we removed our shoes and kept on dancing until the sun came up. Ok, maybe it was not the sun, it was another day with clouds, rain, sun, coldness and heat, all together… because even the weather made us live a full northern blues experience. And nothing better than finishing the event having some “pintxos” in Pamplona, dancing blues on the streets, having rest in the Media Luna terrace whilst eating a home made carrot cake. Then it was time to say goodbye to old and new friends. See you all in The Cave of Blues 2017. Have a nice summer and many many thanks for coming!! !